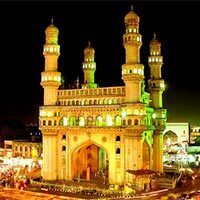 Full day Tour: After Breakfast proceed to Charminar ,Macca Masjid, Salarjung Museum, Chowmohalla Palace, Birla Planetorium, Science Museum, Hussain Sagar & Necklace Road and overnight stay at hotel. After Breakfast proceed to Ramoji Film City for the entire Day and back to hotel by evening. 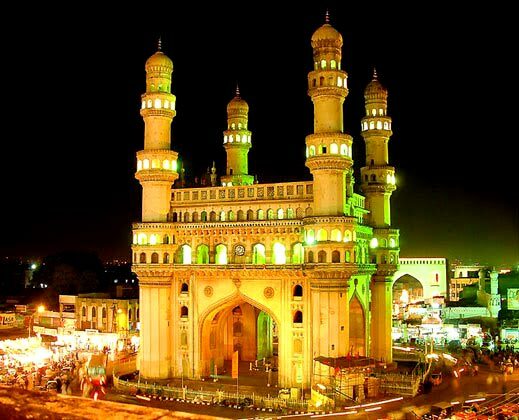 After Breakfast proceed to Nehru Zoological Park/ Ocean Park, Golconda Fort, Snow world, Jalavihar water park/NTR Park. After Breakfast check out Hotel and proceed to Mount Opera / Dholaridhani Runway 9 and shopping then drop at Airport / Railway station.